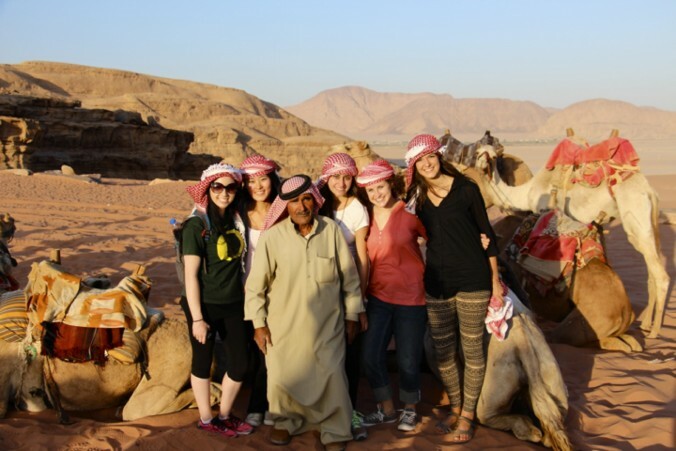 One of the biggest challenges I faced while studying abroad was living within a new culture and, in particular, living with a Jordanian family. Living in a Jordanian household accentuated my culture shock and the need to quickly adjust to a new culture. However, in the end, the relationships I built and the closer understanding of Jordanian culture I gained were well worth the difficulties. 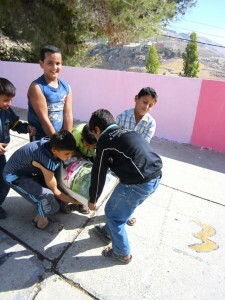 One aspect of Jordanian culture that I quickly learned is that there is little privacy at home. My host family spent most of their time in the sitting room watching television, eating and drinking tea. I was expected to spend my time with them and not lock myself in my room doing homework. There was always an open door policy and if my bedroom door was ever closed my host mom would walk right in. At first I was stressed about not having my own ‘space’ as I was used to living with my family in the United States. I was also worried about where I was going to study. Additionally, it was hard for me to get used to the early curfew, limited water availability and the constant stream of unfamiliar guests and family. Curfews in Jordan are often earlier for girls and mine was at 9 p.m. I was not used to having a curfew having been at college for a few years and in high school my earliest curfew was 12 a.m. Moreover, my host family constantly wanted me to call to let them know where I was if I was not at school or home. Living in the middle of the desert, I also constantly had water conservation on my mind. I was only able to take three showers a week, and running out of water before the water tanks were refilled on Thursday was not abnormal. Finally, the small apartment I stayed in was never quiet, with aunts, uncles, cousins, nieces and nephews constantly visiting. All of these aspects of living with a Jordanian family were hard to get used to and the culture shock was immense in the first few weeks. However, I soon came to either love or laugh at the aspects of living with a Jordanian family that made me so uncomfortable at first. I learned to love the lack of privacy and spent most of my time doing homework in the sitting room with my host family while watching Turkish soap operas. 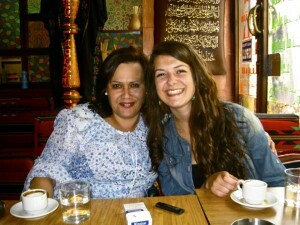 Spending so much time with my host family helped me learn about Jordanian culture and increase my language proficiency. I also learned that the early curfew was out of concern for the safety of women in an unfamiliar country (and anyways I wanted to get home to watch my favorite soap opera programs). I learned to laugh at the lack of water on the Thursday that my Jordanian mom and I washed my roommate’s hair with a bucket of water. Finally, I learned to absolutely love the constant flow of guests as I came to know them and they showed their famous Jordanian hospitality by welcoming me into their families as well.